AI has been used to speed up processes and take over the busy work in multiple creative industries as of late. But can smart machines also be used to actually create content? 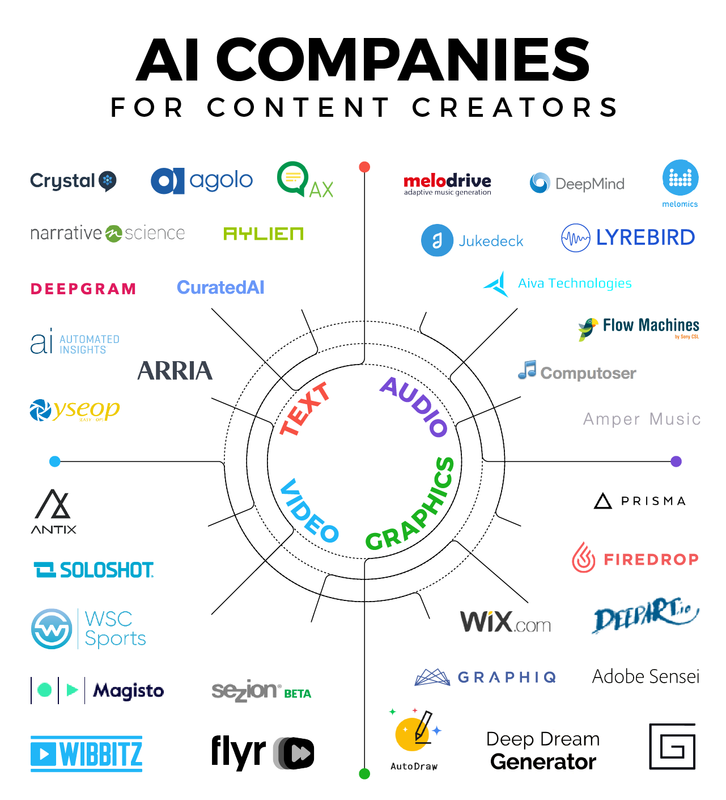 Here're the answer that question by compiling 35 AI companies whose powerful technologies are automating the creation of four different types of content: text, audio, graphic design, and video. With these tools in hand, any content creator can tell their story in any way that they like.